Commercial fishing has now reduced to a few Crab and Lobster boats that land some of the best quality crustaceans you can find and which are dressed and sold locally and sent all over the UK to tempt discerning palates. Lobster and Crab landed at Porth Meudwy are processed at the National Trust’s Cwrt development. 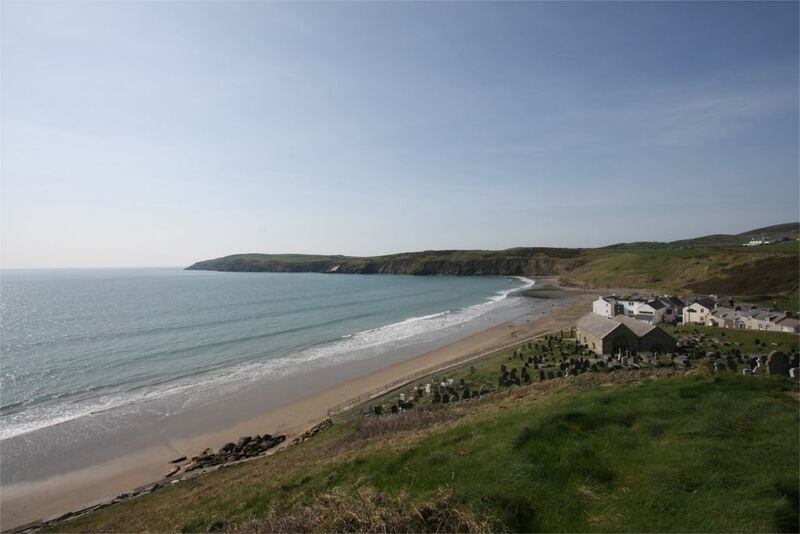 Porth Colmon is also still used for landing Crab & Lobster caught on the North Coast, also processed & available locally through Selective Seafoods. Sheep, cattle and arable farming maintain heath land on hill tops and the green fields, with traditional grass covered, stone banks, know as 'clawdd' (cloddiau) and hedgerows that encourage wildlife. Tractor Pulling at the Welsh Ploughing Association Event. The traditional Boxing Day Dip, for the more adventurous, raises money for local charities. Building Sandcastles at the August Bank Holiday competition involves holiday makers and local people of all ages. The Enlli Ferry leaves from Porth Meudwy, weather permitting. Life on Bardsey - Christine Evans takes her grandchild for a walk on the island with a couple of hangers-on! The Porter Family have been farming on Enlli since 2007 and keep a blog with lots of interesting snippets and photos about their life on the island. You can visit their blog by clicking here.